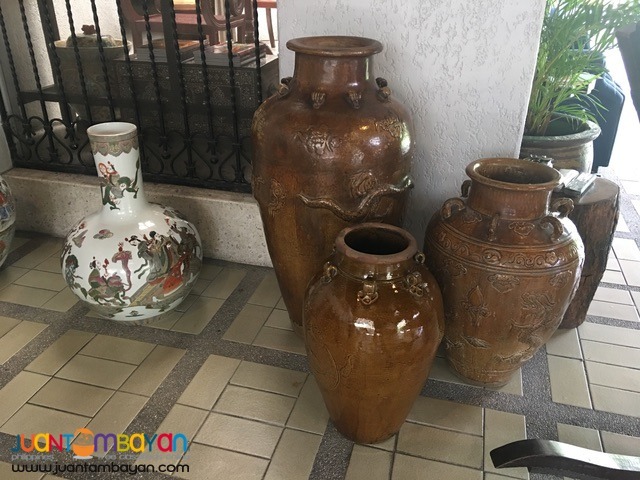 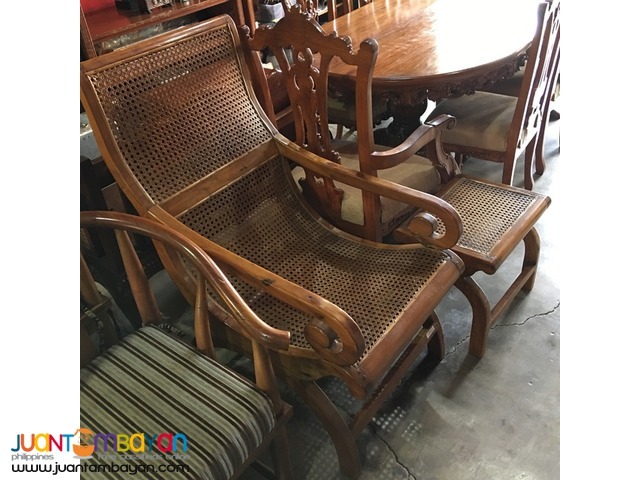 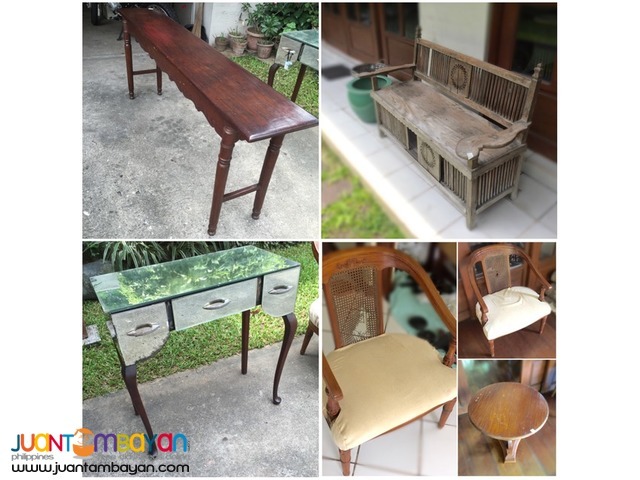 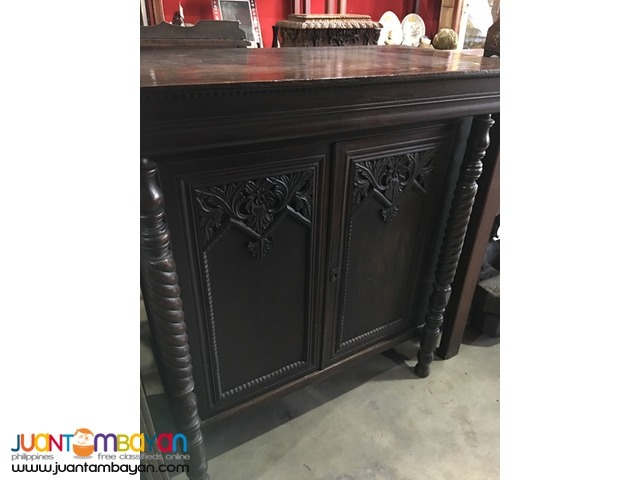 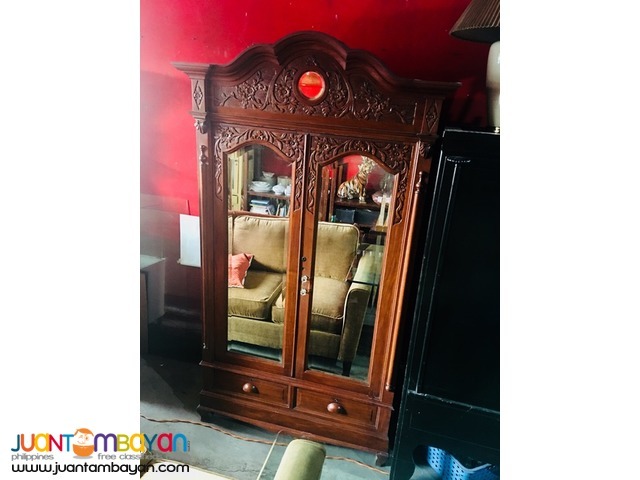 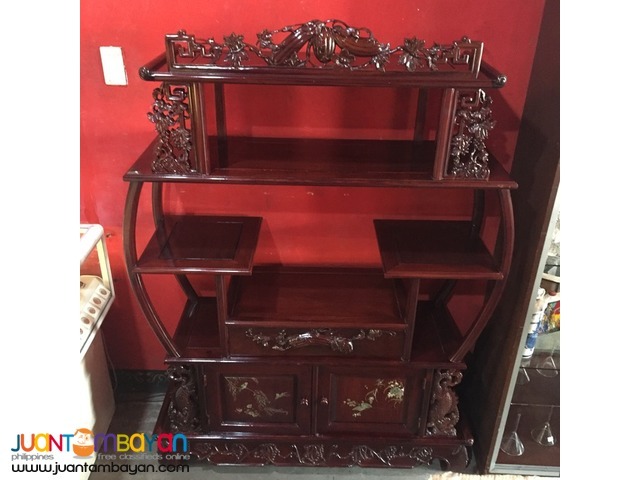 Furniture (wooden): Italian, Oriental, Modern, Filipino, Sala sets, Dining sets, Cabinets, Tables, Chairs, etc. 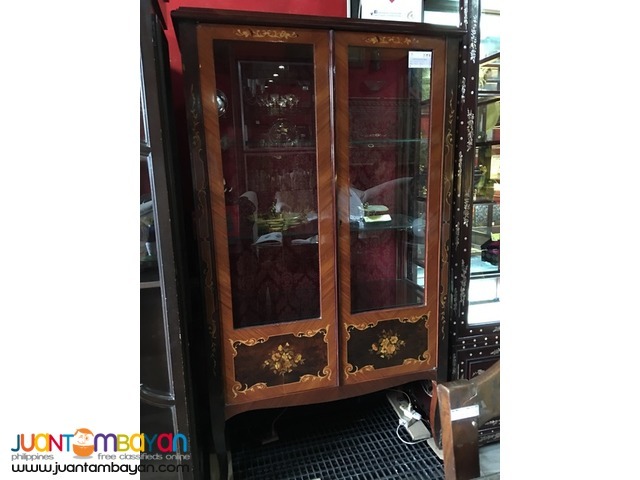 Decors: Crystals, Porcelain, Glass, Grandfather's Clock, etc. 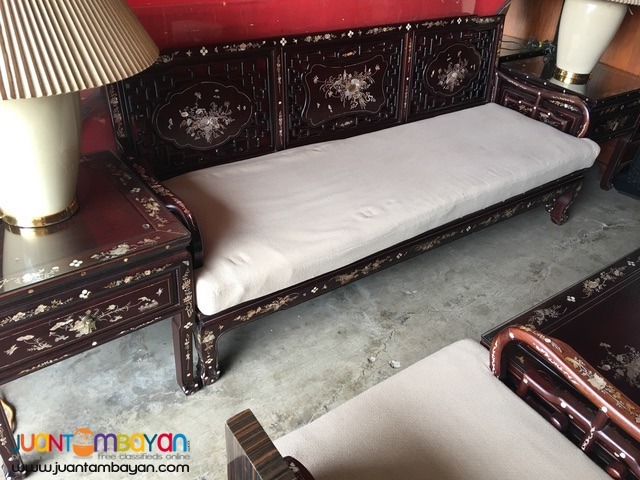 Antiques: Old Religious Figures, Heirloom Furniture, etc. 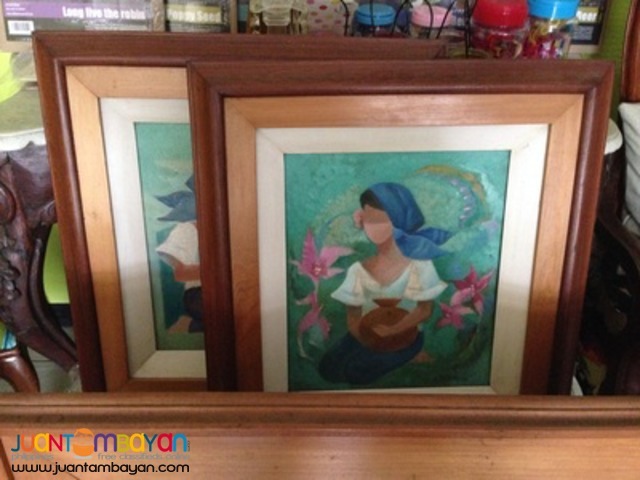 Artworks: Paintings, Sculptures, Religious Sculptures, etc. 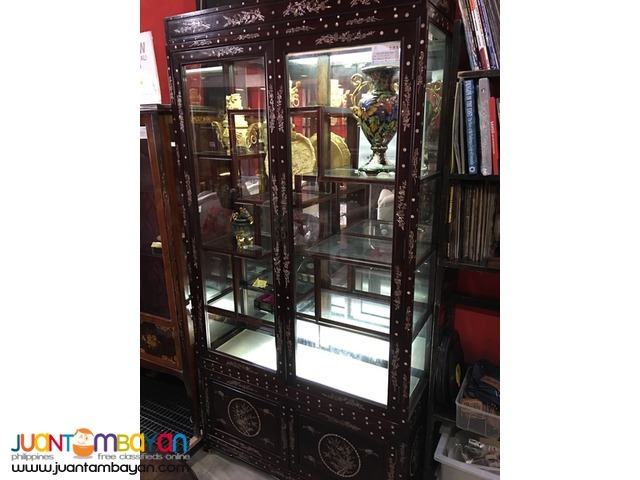 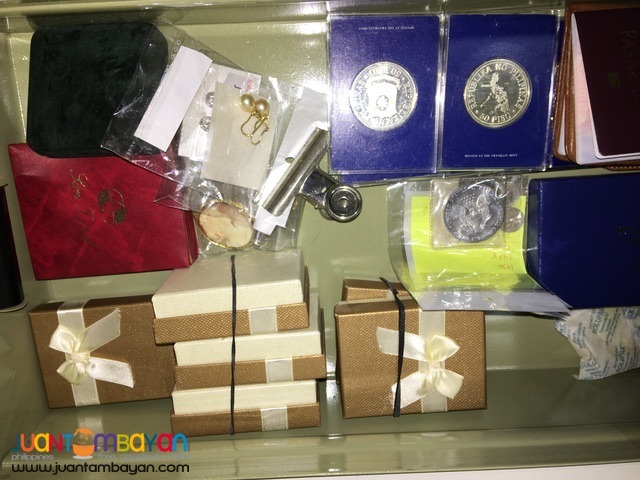 Jewelry: Gold, Silver, Diamonds, Precious Stones, Costume Jewelry, Watches, Coins, etc. 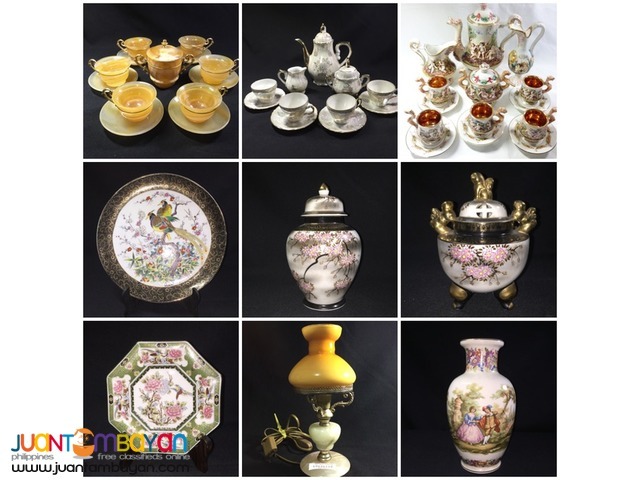 Visit our website for more references!